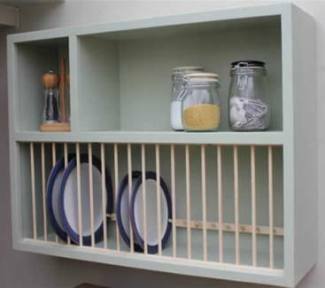 The Broadway plate rack is a contemporary “easy access” plate rack. 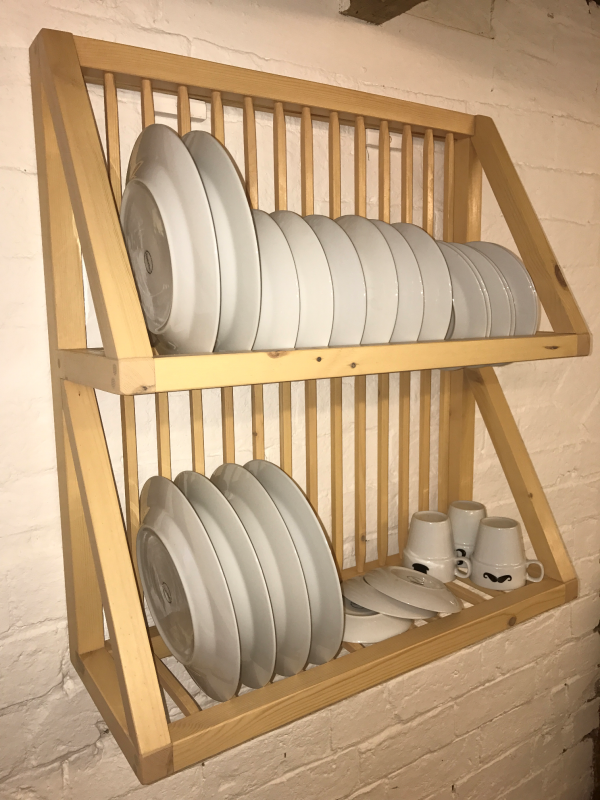 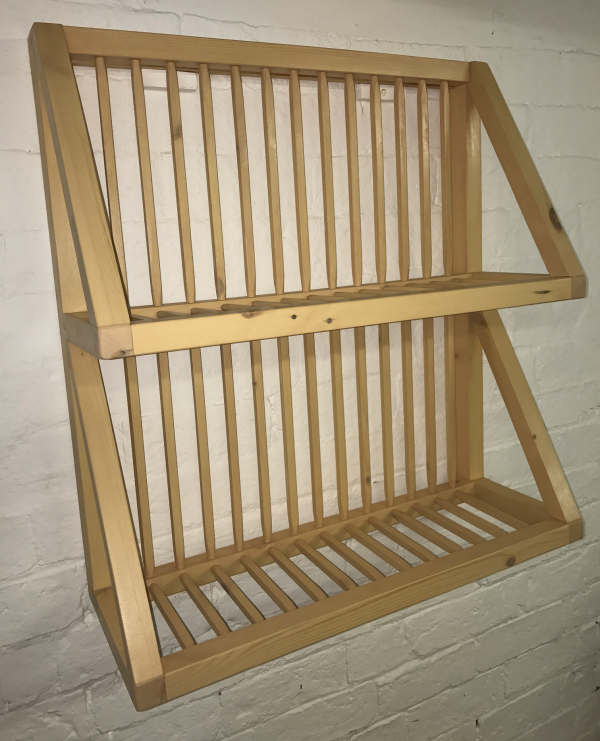 That will store a variety of sizes of your plates, bowls and mugs, this rack can also be used for drainage, square doweling creates a flat surface so can be used as a shelf as well as a rack. 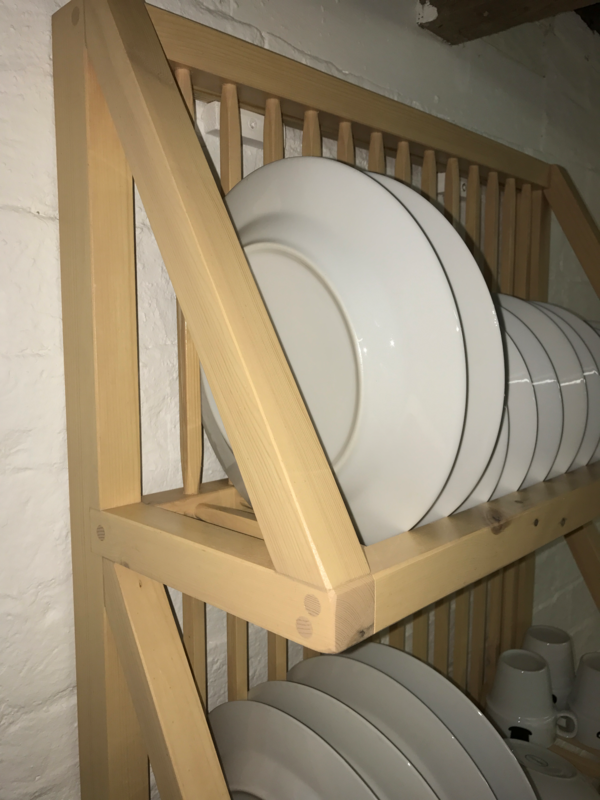 The rack is robustly constructed, the arms are notched into the vertical sides and supported with the braces, ready to give you a lifetime of use, comes complete with wall fixing plates. 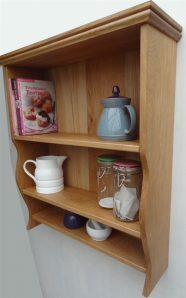 The oak rack is constructed from 100% solid oak. 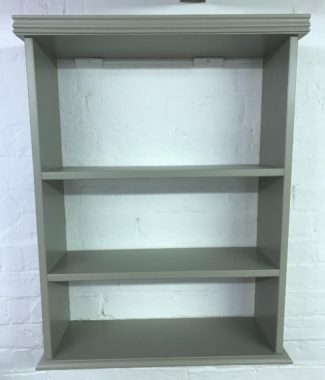 The pine and the painted rack is constructed from red wood pine and finished in a colour of your choice from the Farrow and Ball range.